Trying to keep up with the scientific literature is both laborious, and expensive given, the cost of access to scientific journals, especially paleontological journals. Fortunately, major developments appear in the high impact journals like Nature and Science, which are also more rigorously peer reviewed and reliable. Nonetheless, new finding that generate a lot of excitement are soon in dispute (often for a very long time), and ultimately denied by yet newer research findings. One finds in the literature that there are a great deal of inconsistencies, especially with respect to when certain life forms appear in the fossil record, and even the taxonomic placement of fossils. In so many cases, a consensus simply does not exist (not that scientists in disagreement take a democratic vote on the matter). 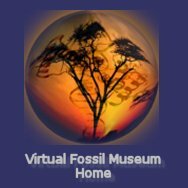 In a recent review of the Virtual Fossil Museum we found a lot of inconsistencies with regard to geologic of evolutionary milestones. Generally speaking, these inconsistencies are commensurate with the literature. We also found that the same and even worse date conflicts are abundant in Wikipedia. Nonetheless, we keep trying, so the Paleobiology page is being constantly revised. In November, 2015 we began a new page titled: Evolution of Life Forms - Evolutionary New Appearances. We are hoping this page will help us keep more current and consistent, by filing reference notes, and where we can give date ranged where consensus is not immediately and well known. It may take a long time to complete this work. After a decade and a half, it finally happened, we over wrote some files, including this page listing new and changed pages. Multiple people working on the same website has its hazards, and its really not worth trying to reconstract. Note: Where text is bolded denotes a fossil or trilobite of the month, past, present or future.